Occupy San Francisco members are bracing for an 8 a.m. deadline to pack up their tents in the financial district and move to a new site provided by the city. 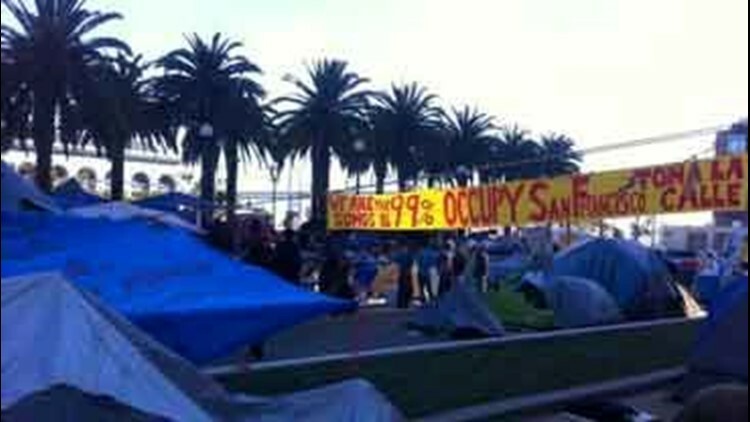 SAN FRANCISCO (AP) — Occupy San Francisco members are bracing for an 8 a.m. deadline to pack up their tents in the financial district and move to a new site provided by the city. The Occupy SF movement has been based in Justin Herman Plaza since Sept. 17, but public health officials say the encampment is a public health nuisance and gave protesters until Thursday morning to leave. The city has offered to move the participants to an abandoned school in the Mission district. That would give them a parking lot to maintain their camping culture, a classroom for their meetings and two bathrooms. The city has taken out a six-month lease on the property. But some occupiers don't like the deal and say they aren't going to leave their current camp.